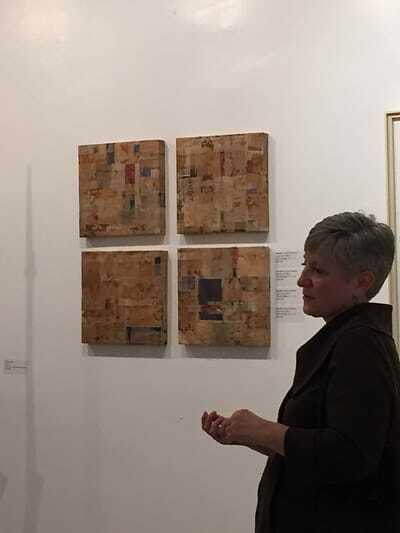 This past Friday was the opening for the Pulse Project exhibit at The Empty Spaces Project in Putnam, CT. I am now in Maryland, on the same coast as Connecticut, but not really all that close. I wanted to be there though and we had never been in that area before, so we packed up the car and headed out. 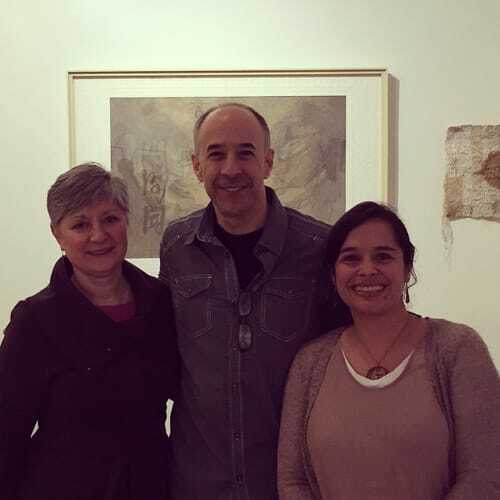 It really has been wonderful to witness Seth Apter’s journey from blog to book to exhibit of his Pulse series of artist interviews that began several years ago. At the opening we were talking about that and we both remembered that I was one of the very first artists he interviewed. We couldn’t remember if I was 1st, 2nd or 3rd, but regardless, I was there at the beginning. So thrilled to have finally met Jennifer who I have followed online for a long time and I am looking forward to seeing her again in the future. 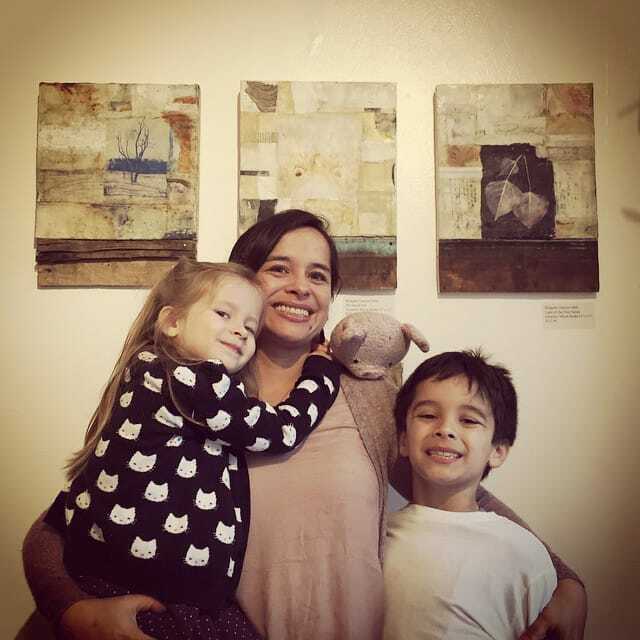 As per usual, my children came to the opening with us. They really were intrigued by the mixed media pieces in the show as there is so much to discover in each piece! There were some really interesting works there. I am so glad that I was able to be there in person and see all the works in The Pulse Project in the flesh. Computer screens just lose so much richness. To be able to see the group come together physically on walls and pedestals was really wonderful. It was such a delight to finally meet! And you're right, we will meet again...I think our kids will even play together some time. I've loved your work from afar and thought it ethereal, enticing and full of wisdom. After seeing it person, well...photos just don't do it justice. They fairly vibrate with life. 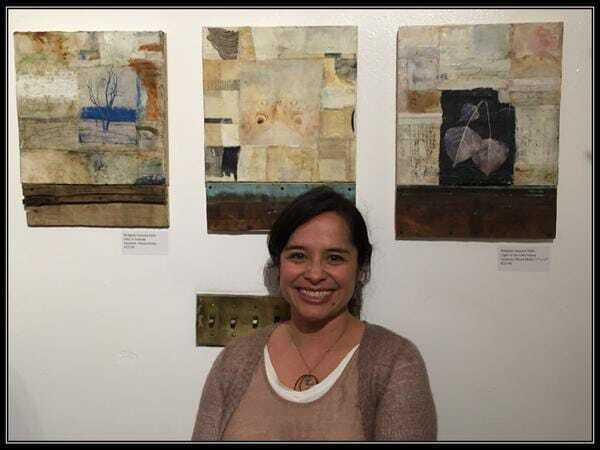 Thanks so very much Bridgette for sharing your incredible artwork for this show...and for being at the opening. Seeing you and your family made a great night even greater!